Sweat absorbent, quick drying.By using impregnated Xylitol, a completely natural technology, VERYCOOLTM clothing from YONEX absorbs heat and perspiration, providing a significant cooling effect during exercise. No matter what the ambient temperature, VERYCOOLTM lowers body heat by 3°C for cooler play. YONEX clothing also intercepts infrared radiation and approximately 92% of ultraviolet, minimizing heat build-up in clothing during play. 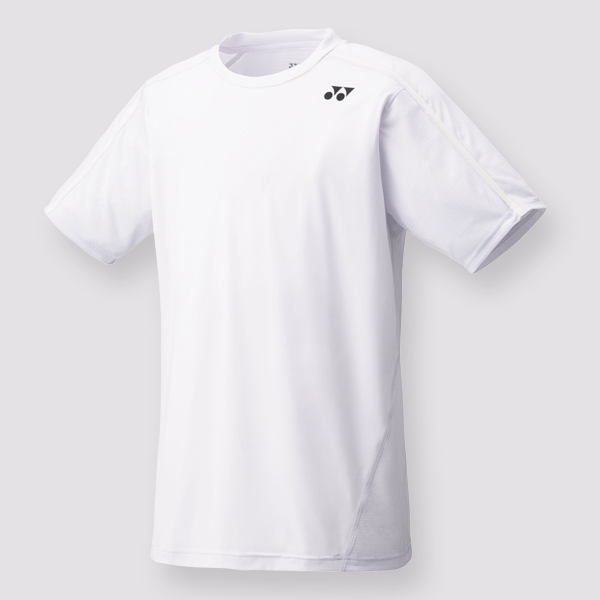 Sorry, the Yonex Mens T-Shirt 10149EX White is now out of stock. Do you own the Yonex Mens T-Shirt 10149EX White?